For those looking for a popular ski resort in the majestic French Alps, Les Gets should be right at the top of your list. It’s perfect for adults and children alike and there are plenty of extraordinary facilities to keep everyone entertained. Les Gets is an ideal weekend destination, only 50km from Geneva. Les Gets has excellent links to Avoriaz, Chatel, Champery, and Morzine, all due to its presence in the Portes du Soleil ski area. Nevertheless, Les Gets has beautiful runs of its own. You can expect easy access to some of the best runs in the area,too, with an efficient lift system available to take people to the area’s numerous slopes. 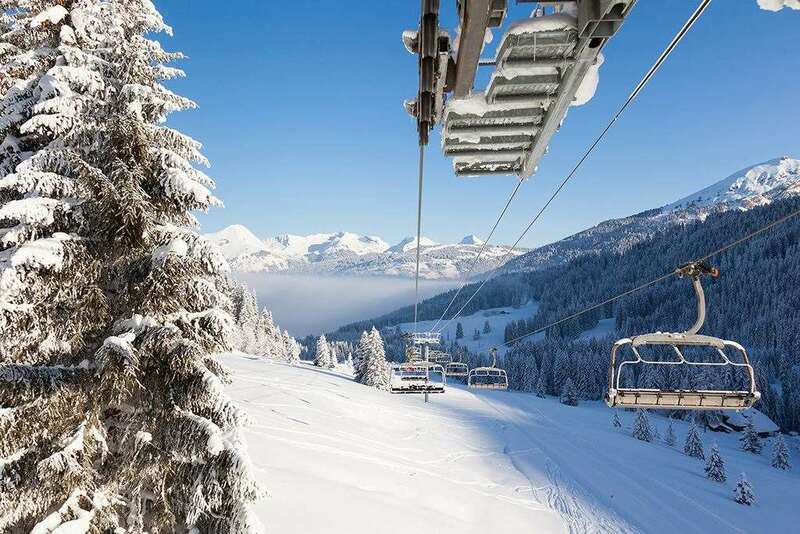 On either side of the village are two areas, Les Chavannes, which is connected to the Portes du Soleil slopes and the Mont Chery, which provides some magnificent views. Les Gets has also earned the Famille Plus Montagne label, giving it a seal of approval for families with plenty of attractions and facilities for all ages. Les Gets is compact and charming, with cosy wooden buildings dominating. The village offers a refreshing taste of French ambiance with a few bars and restaurants. It is a quiet village, with neighboring Morzine the preferred destination for lively night life. There are two main streets leading up to a pretty church. Although visitors flock to the resort because of its amazing runs and scenery, there is more on offer Firstly, the range of accommodation available is fantastic, with options for every budget, while the excellent range of bars and restaurants make it easy to sit back and relax after a day on the slopes. Chalet Monet is a great value chalet in Les Gets complete with a outside hot tub and is close to the town and ski lifts. Chalet Johmarons sleeps 8 people and is great for a group taking the entire chalet. There are spectacular views from the lounge and a hot tub on the covered terrace. With a range of ski terrain, brilliant transport facilities and plenty of places to eat and drink, it’s easy to quickly feel at home in this marvelous area of Europe. The quiet and charming atmosphere of Les Gets makes it a spectacular place to visit for those looking for a relaxing break, while more lively activities await nearby in Morzine. Even if you have had enough of the ski runs, you can always explore the local surroundings by taking in one of the many trails available in the region. So, if a fun winter holiday is what you’re looking for, Les Gets could be the place to be! The ski season runs from December to April, with snow cannons based on the runs to allow a smooth surface during dry weather. All of the routes are maintained regularly and you can expect expert guidance to help you develop your skills and become a better skier. For beginners, the Chavannes express run could be the best option as it provides an excellent route that delivers some remarkable scenery. Elsewhere, the Choucas run is a fantastic option for families, with mini-jumps all the way down the route and even a cafe so you can enjoy a peaceful break in spectacular surroundings. For a bigger challenge, the Arbis and Les Creux runs will be perfect. With some tough turns and dips, these long routes will be an excellent challenge for more experienced visitors. 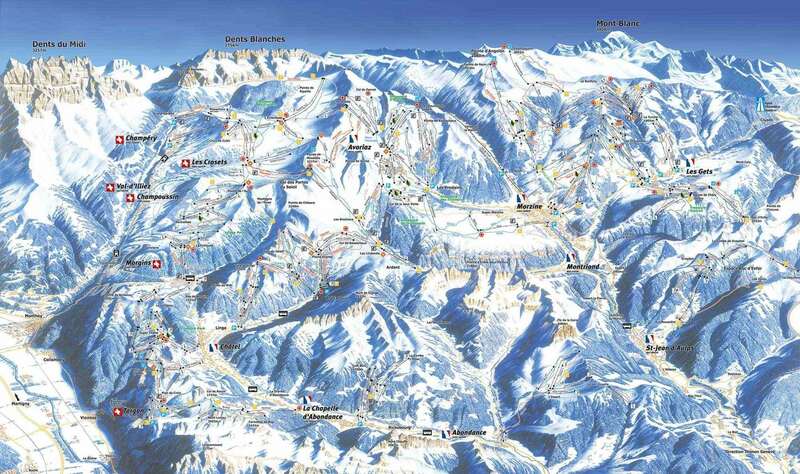 You can even access the Portes du Soleil area, where 600km of pistes can be enjoyed. This world-class area is full of variety and the 220 lifts available mean you can see plenty of its delights without having to worry about long and disruptive travel. Overall, the area features 13 resorts between the idyllic Lake Geneva and Mont Blanc. While Les Gets has a relatively laid-back après ski scene, there are still some fantastic places to relax, including the Black Bear Bar and the Irish Pub, which offer charming decor and amazing views. Elsewhere, L’Anka is a small tapas bar that is well worth a look, offering amazing Spanish food and a mouth-watering drinks menu. If you still want to try out some of the many activities available at the resort, there is an ice rink in the centre of the village, while snowmobiling and hot air balloon rides can also be arranged. On the other hand, if you are looking to relax after a day on the slopes, the Les Gets Beauty Salon and Wellness Centre will be the perfect place to soothe aches and pains, with a wide range of treatments available along with a swimming pool, jacuzzis and saunas. The closest airport to Geneva is Les Gets, which is around 50km away. Les Gets is the perfect resort for those looking for a family friendly holiday. With the majority of skiing in a bowl, blue, red and black runs are all side by side, so those of differing abilities can choose their runs, and meet safely at the bottom by the lifts without the worry of losing anyone! Top tip - Mont Chery is a little-visited gem, with long sweeping runs with no-one to be seen. Although known to be a quieter resorts, there is still plenty of nightlife, with Bar Bush and the Irish Pub, along with the infamous Igloo nightclub.